More children set to benefit from Kip McGrath Hull East expansion. 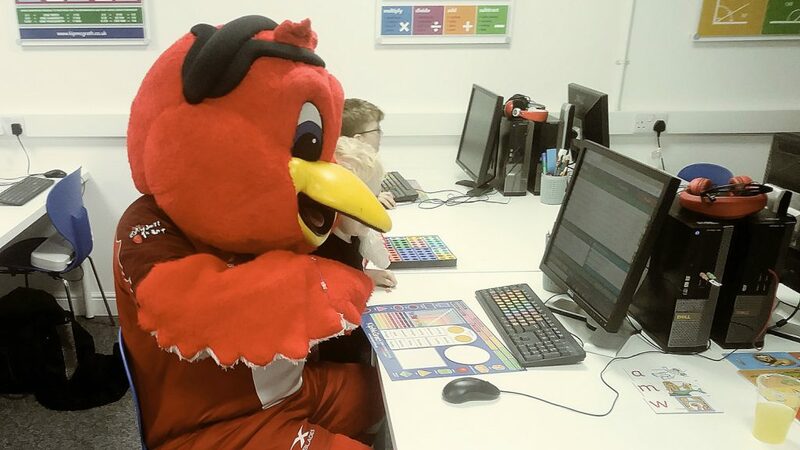 Hull KR’s popular mascot, Rufus Robin, attends Kip McGrath Hull East open event. Kip McGrath Hull East expands capacity after moving into a larger office space in the former Tower Grange Police Station on Holderness Road. Having opened just six months ago, centre director Liz Martin has seen demand for places grow, leading to this move to a larger space in the east Hull building. An opening event on Saturday 24th November 2018 brought together current pupils and parents, directors of the two other Kip McGrath centres in the city, and Hull KR’s popular mascot Rufus Robin. Ms Martin said: “We can offer more tuition to more children, in our last office we had reached capacity and we were turning people away. Now we’re going to be able to keep up with the demand. We can realistically support about 28 to 30 students, but we will still stick to our ethos of a maximum five or six in a group. Our move into a larger space, however, means we can put multiple groups on, with multiple teachers, and in some groups we have teaching assistants. “The core subjects are English and Maths, the core ages are six to 16. We also have a little learners programme, and a getting ready for school programme, which is for ages four and five. The centre director also said that they will be starting science teaching, in a new area that they are currently developing. Hannah Collins, mother of one of the pupils, enthused about her son’s fantastic progress thanks to the centre. Mrs Collins also spoke about how her son can now read a book independently, his writing has improved and he can read his sentences on his worksheets. “It’s just a massive improvement. It’s also that he enjoys coming, he looks forward to seeing Liz, so we can’t complain,” she said. Be the first to comment on "More children set to benefit from Kip McGrath Hull East expansion."